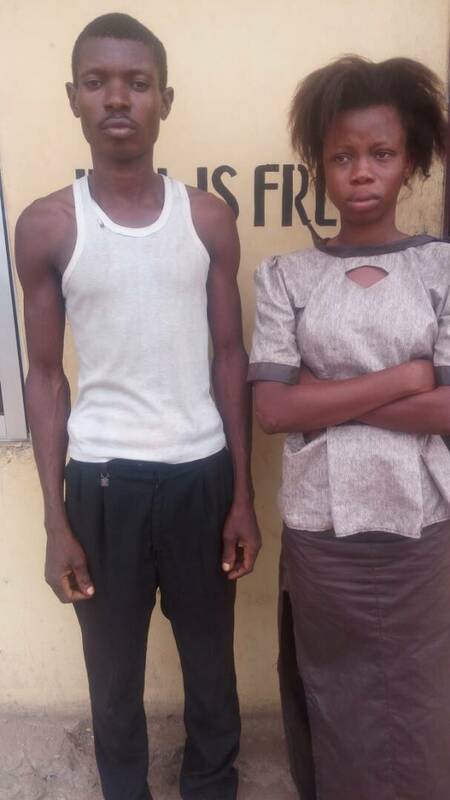 A 20 year old lady, Tohebat Adebayo, has been arrested by the Ogun State Police command for allegedly arranging her own kidnap in connivance with her boyfriend , Afolabi Ogunremi. The parents of Tohebat had reported her disappearance on September 27, 2017, to the police at Lafenwa Station, Abeokuta, that she had left home for the market and did not return. They told the police that a man called them on the telephone to inform them that he had kidnapped their daughter, and demanded the sum of N200,000. The Divisional Police Officer of Lafenwa station , Kayode Ayilara , and other detectives started a manhunt for the kidnapper by tracking the telephone line. This investigation led them to an abandoned house inside the Ibara GRA , Abeokuta, where Tohebat was being kept. Tohebat's boyfriend, Adebayo , who happened to be the security man in the premises was arrested. After interrogation, Adebayo who confessed to being Tohebat's boyfriend said they both arranged her kidnap in order to raise money for her forthcoming birthday. Meanwhile , the state Commissioner of Police , Ahmed Iliyasu , has ordered the immediate transfer of the case to the Anti- kidnapping /Cultism unit of the Criminal Investigation and Intelligence Department , Abeokuta, for further investigation.